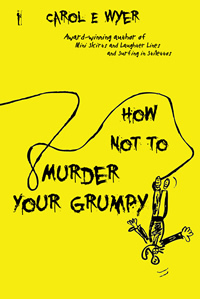 How could you fail to be intrigued with a title like ‘How Not To Murder Your Grumpy’ – almost impossible isn’t it? This weeks Thursday Throng author interview guest is Carol Wyer, the author of the aforementioned book and a further three including the wonderfully titled ‘Surfing in Stiletto’s‘. As you might imagine from just these two books, Carol has a quirky sense of humour that does justice to the topics she approaches. One lucky person is also going to win a free signed copy of How Not To Murder Your Grumpy too – just leave a comment at the end of the interview to be in with a chance to learn more. If you are a woman of a certain age then you’ll understand the meaning of the word ‘frustration’ when your wonderful partner of many years, who has faithfully gone out of their way to be out of your way, suddenly finds themselves at home with nothing to occupy themselves in the world that has become ‘retirement’. They want to get involved in everything, from your activities to the cooking; generally trying to take over what has, up till now, been a lovely serene (sic!) life. 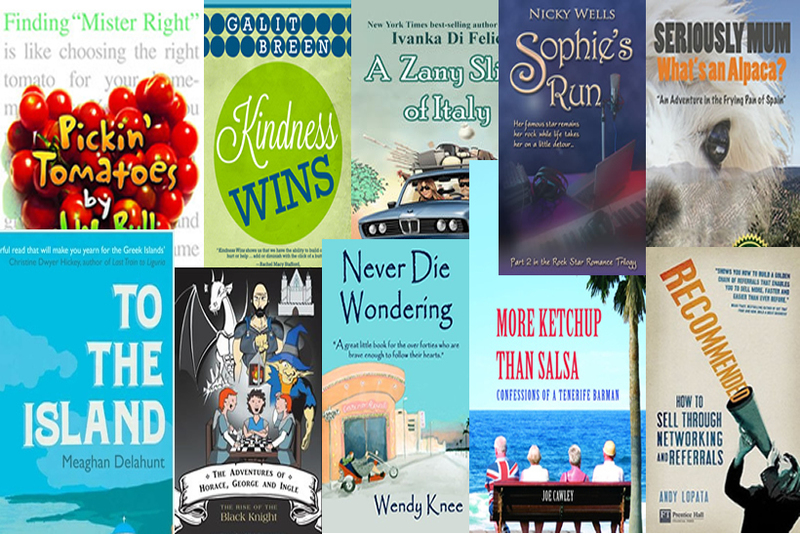 How Not To Murder Your Grumpy is a laughter filled, humourous look at all the things you could encourage the curmudgeon in your life to get involved with, listed in alphabetical order. With over 700 ideas contained within its pages, it is impossible not to find something to tempt your other half. It is also a brilliant resource to have hanging around, just when you need a wonderful piece of trivia to share with friends or relatives over supper or to lighten the mood. I mean, who could fail to be fascinated by the chap from Sweden who has collected 7,000 Kinder surprise toys or that the world’s largest paper crane (origami) was created in Seattle by Wings for Peace and had a wing span of 215 feet. Carol’s style is laid back, casual and fun; with some you’ll wonder how on earth anyone would want to do ‘that’, with others you’ll think ‘mmmm that sounds nice‘. Published 1st June 2013 and available to pre-order on Amazon. I tend to be very open about who I am and what I have done. In fact some of the more outrageous episodes are written into my novels; although I’d be loathe to confess which ones are actually about me. I suppose the one thing no one would know is that I am able to play the 1970s hit Popcorn on my jaw using only my fingers. I realise that is the sign of a misspent youth but I taught myself to do that and juggle. Those lengthy school holidays had a lot to answer for. I choose my names carefully. They have to suit the character so, yes, they are important, but only to that character. I chose Amanda Wilson as my protagonist because it was a nice everyday name and Amanda is an everywoman character. I think I subconsciously also chose it because her initials are the same as my son’s. I couldn’t think of a suitable name for her party-loving mother so I left her to be just Amanda’s mum. In Surfing in Stilettos, it became apparent what her name was. She is a woman who would give anything to make her daughter happy, even though the daughter doesn’t realise it. She became Grace. The character I found easiest to name is the marvellous French woman who befriends Amanda when she is abandoned in France; Bibi Chevalier. There is a link between her name and the fact she “saves” Amanda. I am very careful about cleaning my teeth and make regular trips to the dentist so I still have most of my pearly whites even if they are covered in crowns and veneers. I would have loved to have been an entertainer of some description; maybe a television presenter an actress or better still, a comedienne. Probably not a pole dancer though. I thoroughly enjoy making people laugh, hence all my books are humorous. Being a bit of an attention seeker, standing up in front of an audience and entertaining them would be my ideal occupation especially if I could get them chuckling wildly. I went a similar route before writing and became a teacher. I gave some of the best performances of my life during those years! Like many writers I walk around with a head crammed full of characters, plots, dialogue and ideas all waiting to spill out. Finding time to get typing and release the pressure building up inside my head has been the single most difficult challenge. My husband has retired and is around the house 24/7. He is always interrupting to ask if I want a cup of coffee (in other words would I like to go and make him a cup of coffee) or needs me to hold one end of a shelf while he fiddles around for hours looking for a screwdriver and fixings to put it up. I am his full time playmate, and not in a good way. I started writing at nights to combat this problem. That worked for my first novel, Mini Skirts and Laughter Lines. However, as soon as it was completed, my head began filling up with more plots and characters, but I couldn’t type because we were moving house. Twenty-five years of rubbish and belongings had to be packaged up by yours truly, and arrangements made to move. New furniture had to be purchased, builders had to be cajoled and we had eleven very stressful months during which time I was unable to type a single word. I thought my head would explode. We are now settled, of a fashion, having been beset with problems since we moved in, but my own Mr Grumpy still interrupts me on a regular basis. At least I can go back to nocturnal activity now as long as I keep chugging the caffeine and eating the sweets. When you first start out there is a huge amount to tackle but I would say take your time. Don’t be in a hurry to get work published. Check out useful websites like Indies Unlimited, where you’ll find all sorts of tips, tutorials and articles to help you on your way to becoming a writer. 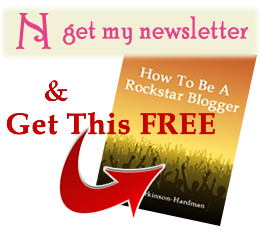 Join some author/writing groups on LinkedIn or Facebook and make friends. They will prove to be invaluable. I could give lots more tips but the most important thing of all is to ensure that whatever you write is good quality. That is fundamental to success. I have led a charmed life and been very fortunate to have some incredible experiences including scuba diving a wreck, flying a helicopter and quad biking in South African mountains. They have all been amazing but the best experience was a more sobering one. Spinal problems wrecked some of my younger life and when I was twenty-one I underwent a procedure that left me in a state of paralysis. I found myself at home, stuck in bed and wondering where my life was going. Youth is obstinate and so I forced myself into mobilisation, practising each day when my parents were at work. After a few weeks I could actually move my legs and stand if I held onto the bedside. I cannot stress how difficult it was. It took every ounce of determination to get my legs to work. The effort was worth it. My father came home from work one lunch time as he did every day while I was stranded at home and came to see me in my room. I told him that I thought I could manage a few steps. I can still recall the look on my father’s face as he watched me manage to walk along the landing. That look was the best thing I have ever experienced. Being the class clown wins you lots of friends even though it hampers your schoolwork. I had quite a turbulent time at school even though I loved lessons and learning. My parents were in the Forces so I moved school many times. Each time I moved it became harder and harder to make friends or get included into groups where children had known each other for a long time. I had some miserable days huddled on my own in a playground because I had started the term halfway through, after children had already build alliances with others. I was very much the outsider. It got worse, the older I got. Luckily (!) I was blessed with three props: front false teeth (thanks to an accident), very long hair and National Health blue framed spectacles. I managed to gain popularity by taking my teeth out and gurning at people in the class or by brushing my hair forward so I looked like a gonk and then placing my glasses over the hair – I probably resembled Cousin It from The Addams Family. I was also able to mimic people and tell jokes which got me accepted. I discovered at an early age that laughter can help overcome all sorts of barriers and stressful times. It might also help you fail Chemistry GCSE. To be in with a chance of winning a free, signed copy of How Not to Murder your Grumpy, all you need to do is leave a comment for Carol at the end of this blog post. At the end of next month or early June we’ll pick a winner and let them know they’ll get the book. 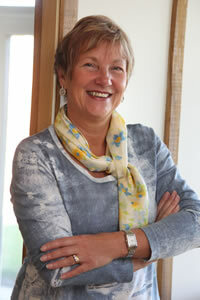 Where can you find out more about Carol Wyer and buy her books? If you can’t wait until the end of next month to find out if you have won the coveted signed copy, then you can pre-order your own copy of How Not To Murder Your Grumpy or pick up one of Carol’s other books from Amazon by visiting her author pages in the UK and the US. This is such a well timed book. Mr. Grumpy’s all over the world will have 700 proposition which is enough to say no every single day for almost two years!! Love it. Glad you liked the quad biking experience in South African mountains! I absolutely loved it. I was rubbish though and kept getting stuck on mini hillocks but it was worth putting up with the instructor and Hubby guffawing at me. The views were amazing. We went back twice more after that trip. It’s one of my favourite countries. My husband & I are both fortunate that I read the “How Not to Murder Your Grumpy” before publication. I, because I LOVED the book, & my husband, because I am still allowing him to live!! Although both my husband and I work full time I can completely associate with the ‘will you just stand there, hold this for me and watch me while I fix it’ mentality!! Aw shucks! Thank you. I’m afraid I stamp my ‘Carolness’ wherever I go. 🙂 Good lcuk with the competition. I am sure you’d enjoy the book. Thank you for suggesting a new challenge _ I am going to try juggling and playing Popcorn then enter Britain's Got Talent! ❤ Thank you Yvonne. That's lovely of you to say so. Oh Carol, I am such a fool … I’m sure you know those words, because we are the same vintage and I was humming Neil Sedaka as I read this. You and I would make great mates, leaving each other to write all the time and no one to do the cooking. I would absolutely LOVE to win this book because I’m getting so close to the dilemma! What a great title…and idea. My SO and I are almost there and he has trouble amusing himself on long weekends! I look forward to sharing in your wisdom. Thank you mare and I am sure you’ll find several ways to keep him occupied. If not, bundle him up in the post, send him to me and he and my own Grumpy can sit and complain together. I did that too Maureen, but he returned with 22 boxes of reduced Shredded Wheat that took a year to eat. Without actually wanting to win the book (got my copy–teehee), I just wanted to say, Carol, you’re amazing! I so know exactly what you felt like when you were determined to get up and walk again! Been there, too, and I know what doctors telling you you cannot move anymore can do to a young person! I am glad you managed, glad I met you, generally glad you’re here! I echo your final words, Kim and I am sure we were meant to meet up. Thank you for all your warmth and support too and of course, for publishing this little crazy book! Your comment made me guffaw and frightened the old dog I am currently looking after. Love it! ‘More cheese Gromit’! Carol (and Linda) – an amusing interview (albeit tempered with serious moments, naturally) and enjoyable to read, thank you. The sweets anecdote has made me laugh, especially the black teeth after the licquorice! My husband took early retirement a few months before my redundancy (we worked for the same organisation!) We ‘manage’ to get along most of the time despite his being home ‘so much’. Hello Joanna and thank you for your lovely comment. Ah! If only I could interest my own little grumpy in golf. There is a rather amusing anecdote as to what happened when I tried to encourage that particular hobby, in the book. Hope the book can solve that problem and allow you to do what you enjoy. Huge apologies for not being able to get back to you all sooner and reply to all your comments. I have had, and continue to have, difficulties with the internet here. Thank you very much Linda for having me here (again) and I shall keep trying to log on and reply to you all. Good luck with the giveaway! The interview has a smile running all the way thru it. Makes me feel connected. My own grumpy retired several months ago and tends to get underfoot. I’m still allowing him to live, but it’s strictly on a trial basis.